and read comments from past customers. Healing Nature Deficit Disorder in Denver Metro schools and backyards! 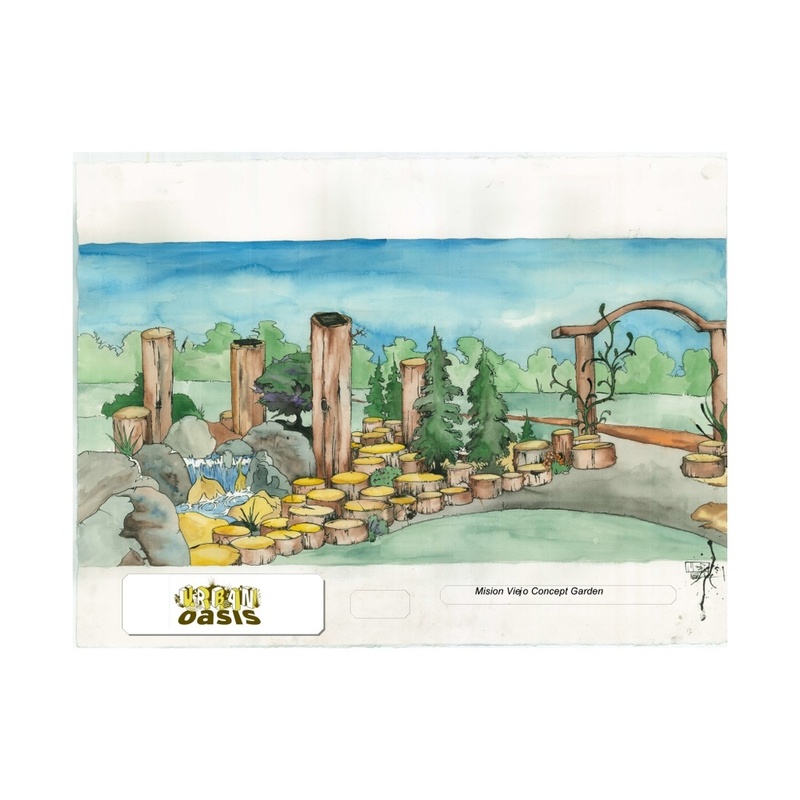 We design with an inner child perspective building dynamic natural playgrounds that can change with children's needs. Our on going goal is to provide spaces that provide the 6 different kinds of play. Learn More about our Plant Master Garden Maintenance. To increase efficiency we inspect irrigation while working in the garden. We provide a knowledgeable customized approach to bring health and provide for rich interactions with the diverse forest Biomes of Colorado. We utilize efficient forestery methods that save money by returning overgrown tree groves to the soil instead of sending carbon into the atmosphere. We provide customized design, engineering, and old world craftmanship to honor the beauty of the wood we work with. Arborist and local wood mills in the Boulder area provide the opportunity to re-purpose amazing trees. learn more about our Designbuild process. We practice the ancient art of dry set stone masonry. Our clay soils in Boulder Lyons require careful attention to install long term sustainable patios, paths, and walls. Bio filtration systems maintain water quality in Koi Ponds, swimming pools, and Backyard HotSprings! We utilize climate battery technology and recycled materials to create affordable sustainable shelters for plants. Our Boulder/Lyons climate provides lots of solar energy which can be stored during the day and utilized during our cold nights. Outdoor Kitchens in Colorado provide an opportunity to enjoy the amazing Colorado weather. The weather variations in Colorado can quickly degrade substandard construction. Many builders should not apply techniques and materials that are utilized inside the home. Because Urban Oasis only constructs kitchens outdoors we know which materials will hold up long term.